The Moyers school campus includes three WPA structures: a gymnasium/auditorium, a vocational agriculture building and a teacherage. The gym, with high ceilings, is a single story, rectangular (116′ x 51′) structure constructed of untooled and uncoursed native sandstone. 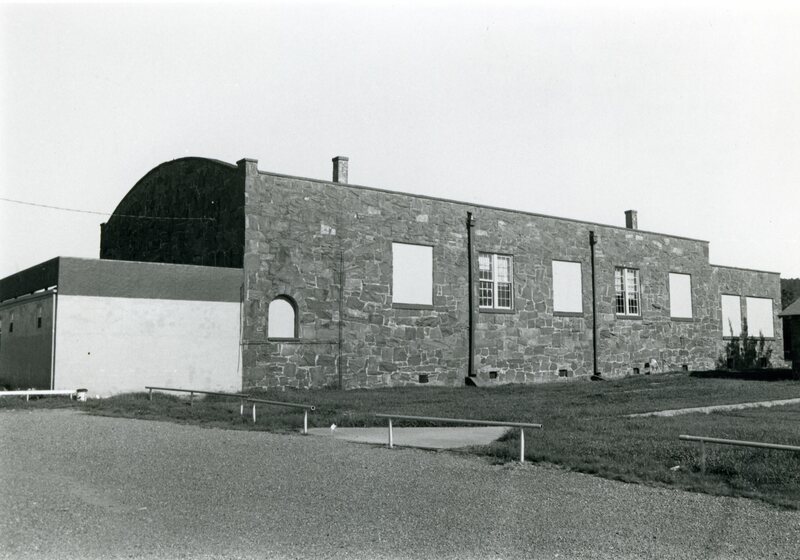 Over the gym the roof is arched, while over the classroom segment it is flat–both places with parapets. Most windows have been enclosed with wood inserts, and a concrete block room has been added to the front. Despite these changes, the integrity of the building remains unimpeached. 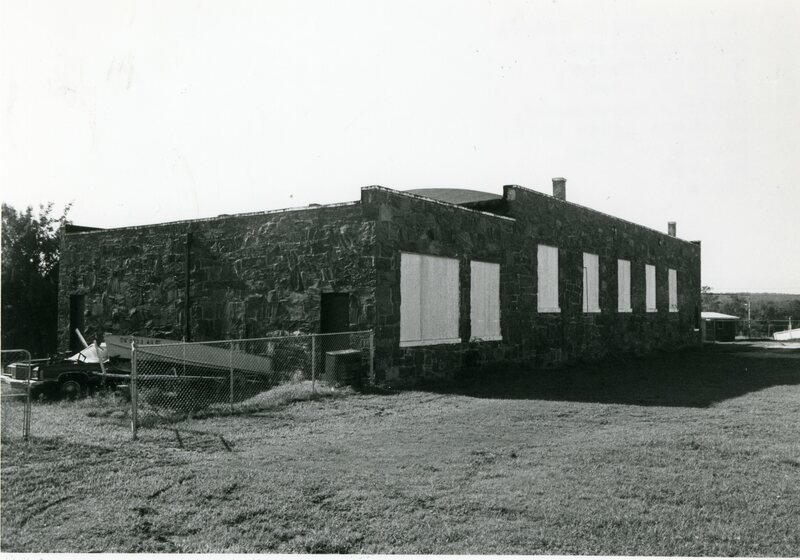 The vocational agriculture building just east of the gym is a single story, rectangular (46′ x 26′) structure constructed also of undressed and uncoursed native stone. The roof is gabled; the front entry is covered with a small porch; and windows are metal casement. 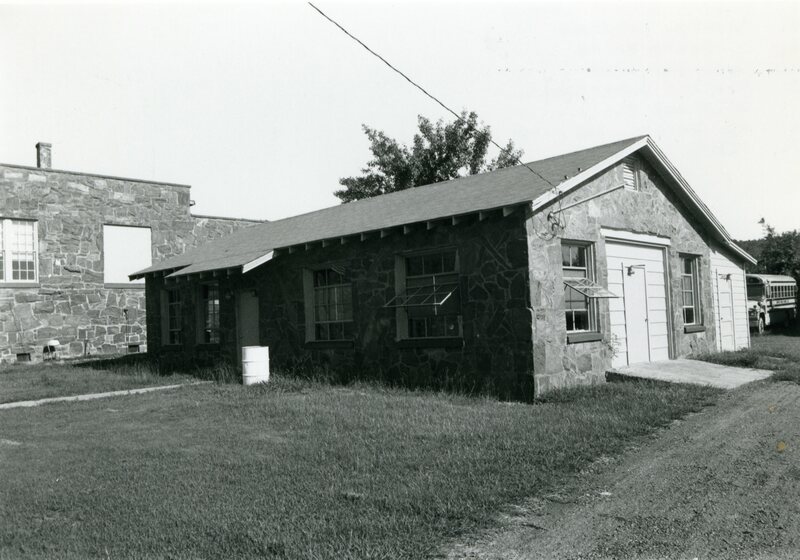 A garage door opens through the east end of the building. On the southeast corner of the school property is located the teacherage. Bungalow in style and measuring 43 feet by 30 feet, it is a single story structure constructed of untooled and uncoursed native stone. The roof is gabled; the front entry way is covered with a small porch; the windows are wood sash. A rock addition has been made to the west end of the building, but it in no way impeaches the integrity of the structure. 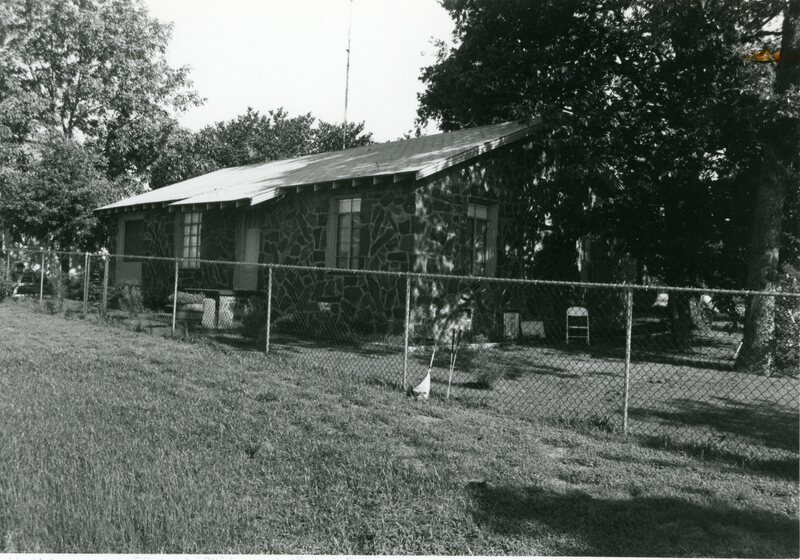 Remote and isolated, the Moyers community suffered greatly because of the economic collapse of the 1930s. Destitute lumber jacks found a measure of economic security by helping to construct the three buildings on the Moyers campus, a fact that makes the structures especially significant. That they are still in use reflects how important the WPA program was to the educational life of the community, then and now. As rural WPA school structures, they are notable for their type, especially the agriculture building, and number. Within the Moyers community they are unique architecturally because of their type, style, scale, materials and workmanship. VERBAL BOUNDARY DESCRIPTION: Situated on the northwest corner of the Moyers community, the nominated property begins at a point just southeast of the teacherage, being 330 feet north of the SE corner of the NE 1/4, of the SW 1/4, of the NW 1/4 of Sec. 5, T 3 S, R 16 E, and runs 115 feet west, 100 feet north, 330 feet west, 150 feet north, 330 feet east, 100 feet south, 115 feet east, and 150 south to the point of beginning.